ITEMS UNDER $50 ( FLOOP ) ::: Furniture for the Home, Office, Home Office, and More at Pure Design Online! Remember: shipping is FREE* on orders over $100, so you may wish to buy a few of these at once! 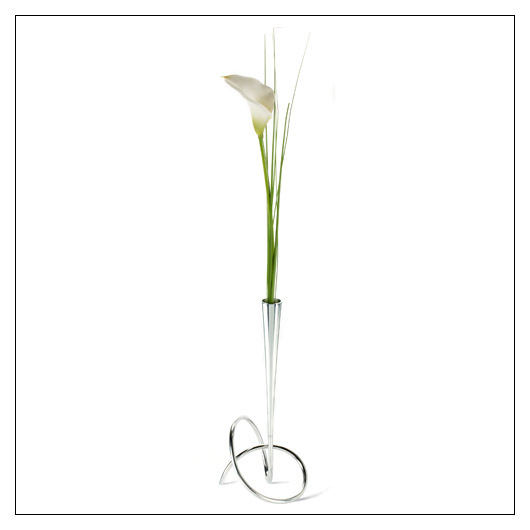 An elegant yet minimal flower vase made from free flowing steel wire. The form looks appealingly simple and unique from every angle. It can be used individually or interlinked to create a cluster. Flower Loop is inspired by the Fibonacci curve that is seen throughout nature and looks correct and balanced to the human eye.